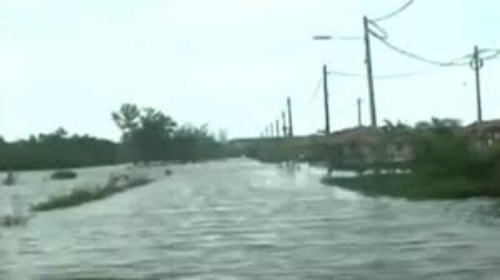 PASIR MAS: Torrential rains in the north-eastern part of the Malaysian peninsula continued on Monday (Dec 22), as Kelantan suffered what has been dubbed the worst flooding in the past decade. More than 20,000 affected over the weekend in the state of Kelantan alone and while water levels have receded in some parts of the state, other parts are still inundated – with residents having to use boats to reach their homes. More than a thousand people will sleep have to sleep on Monday night at the Gelang Mas national school after being forced to evacuate their homes. Flood waters have now begun to recede in certain parts of Kelantan, such as in Pasir Mas, and many of those who sought shelter in the school are beginning to leave to try to salvage whatever’s left of their flood ravaged homes. However, authorities warn that flood levels could get worse again as the week progresses.